This past season we grew enough purple bush beans to eat fresh and save a bunch for drying and eating in winter. 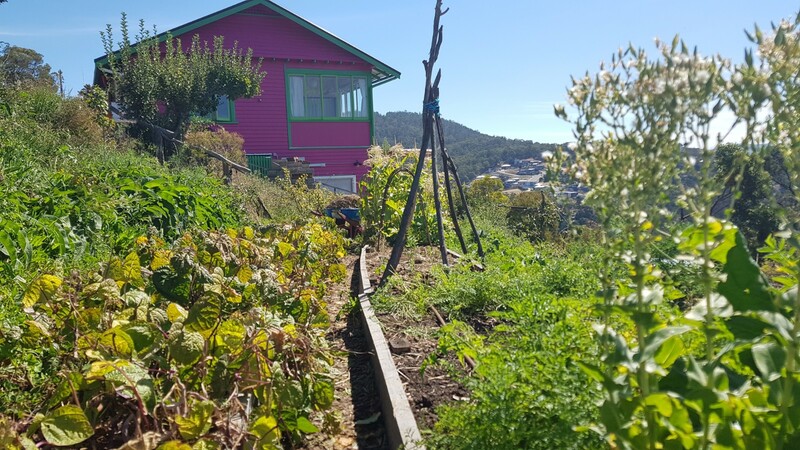 As we’ve got limited space, it’s not enough to supply all our needs, but we like trying new things each year and thought we’d experiment with how much we could do. 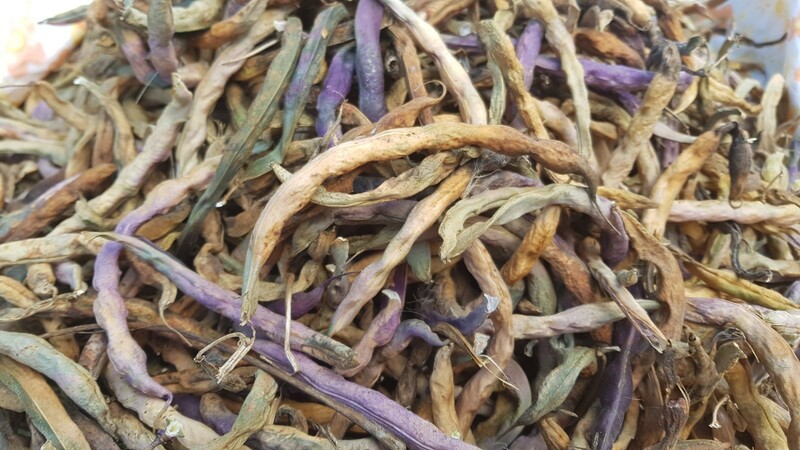 We grew purple bush beans, we’re fond of the bush variety as they require no staking – a major bonus in the time saving department. 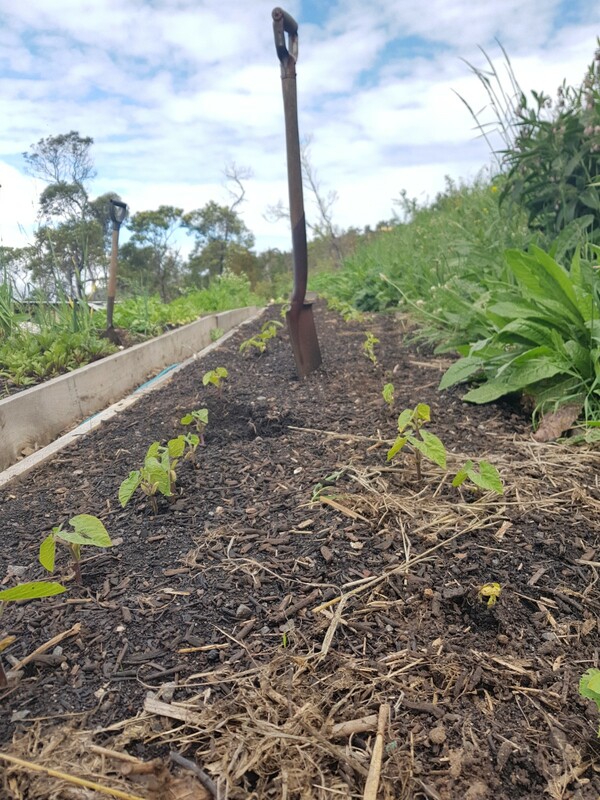 We planted two long rows with beans 15cm apart and transplanted them out to 30cm – 40cm once they had germinated. That’s not necessary – but I wasn’t sure on the viability of the seed as they were a bit old. Turned out their was nothing wrong with the seed, so we got lots! 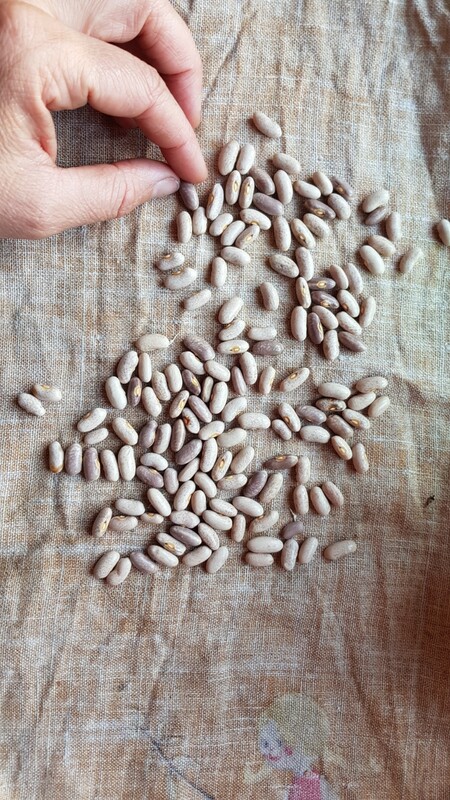 We ate plenty of young, fresh beans in their early stages and then let the rest dry out on the bush until they were 90-100% mature. You can see the leaves below left starting to yellow and brown off. 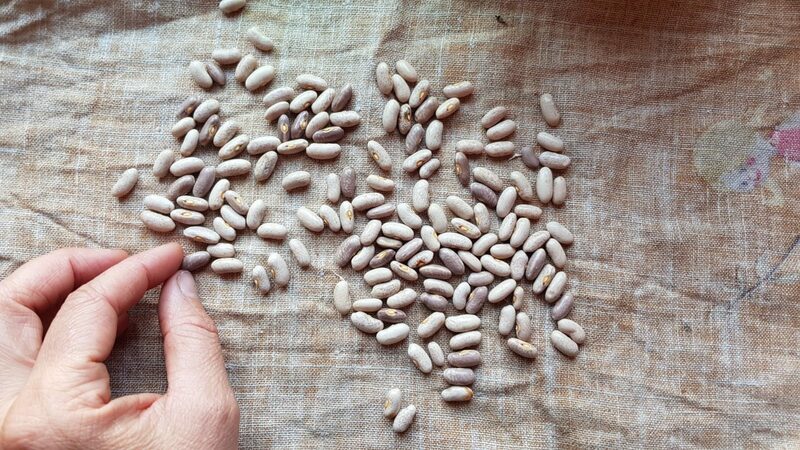 Ideally you want to leave the beans on the bush until you can shake the pods and here the beans rattling inside. 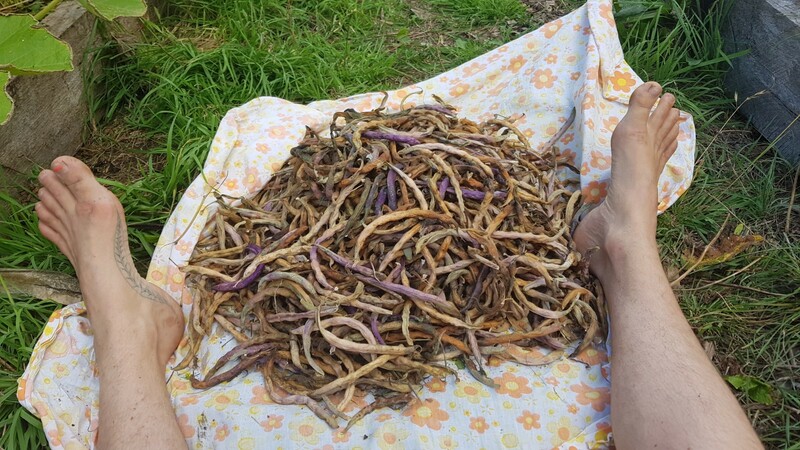 We left them in the ground as long as possible, but had to pull them to get the winter garlic crop planted, so some of the beans were more purple than I was planning. But not to worry – I simply left them in an airy brown box for a few weeks inside to dry out thoroughly before shelling them. For a small batch like this you could simply pop them into a pillow case and bash it around to shell the majority of them quickly. Or, like me you can do them one by one each night as a form of mediation to slow my busy brain down over a few evenings. The next thing to do is a grading process to make sure there are no rotten or mouldy culprits slipping through. We ended up having a pile for the chooks and a small bowl for eating right now – these ones were cracked or slightly damaged, but will still taste delicious. And then into a glass jar they go for winter soups and stews. 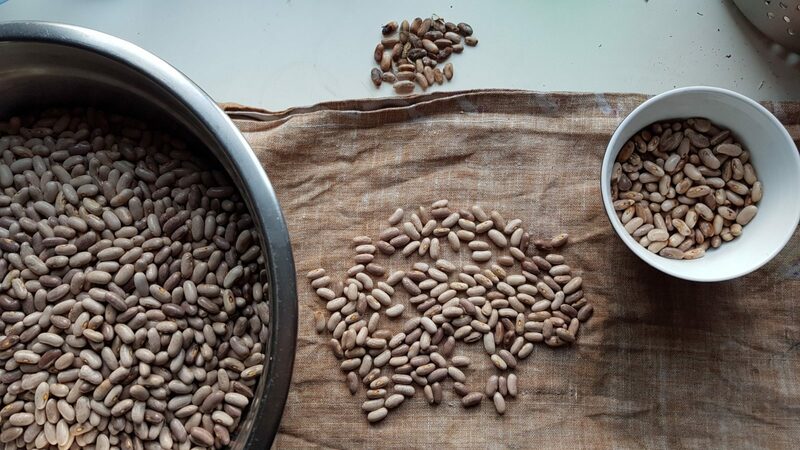 Wondering whether it’s not worth your time to grow and dry your beans? Well considering how cheap organic beans are to buy from the local shop, it doesn’t really make sense. 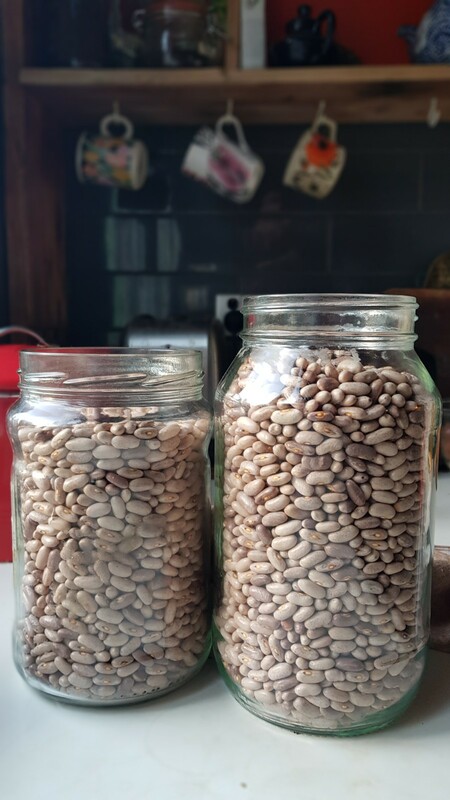 However it *is* worth your time if you’re interested in learning new skills and having beans that don’t take as long to cook and knowing where your food comes from. All the good things. Would we do it again? 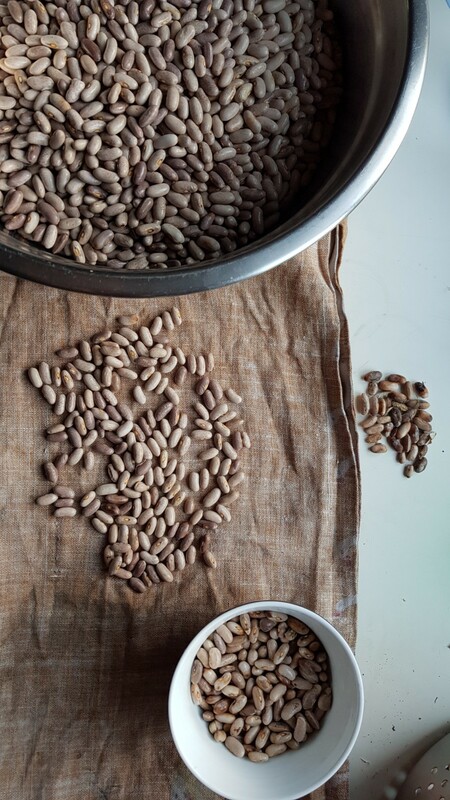 Absolutely – next season we’re thinking of growing the borlotti bean for drying as it’s larger size appeals to us. Here’s to many wintery bowls of bean soup and stew! I’m 24 years old and not gonna be owning land or growing anything of my own before a long time. This type of article truly fills me with enthousiasm, dreams and eagerness to start. 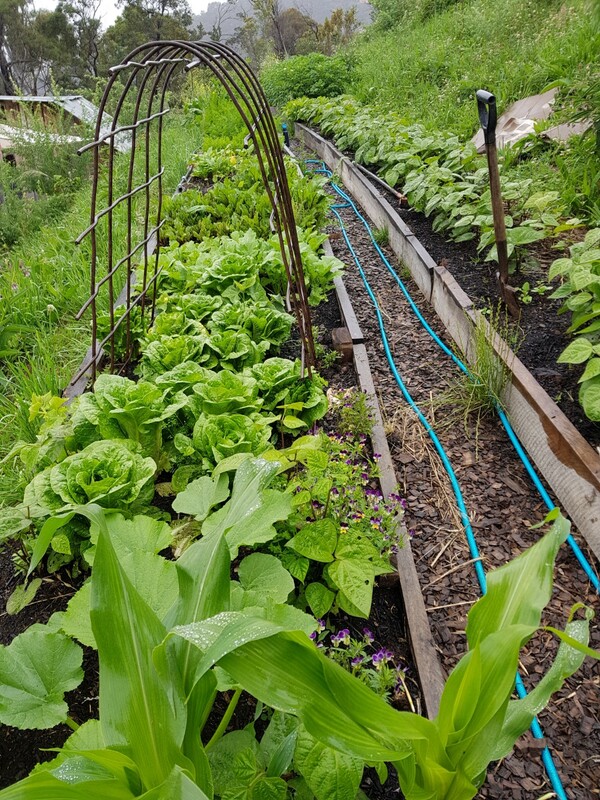 I look at the pictures of all those beautiful plants, the harvest etc and it makes my heart jump with joy thinking that if everything goes as planned I should be doing the same thing in a few years.